Pre-Conception Collection. – Erins Journey to Motherhood. 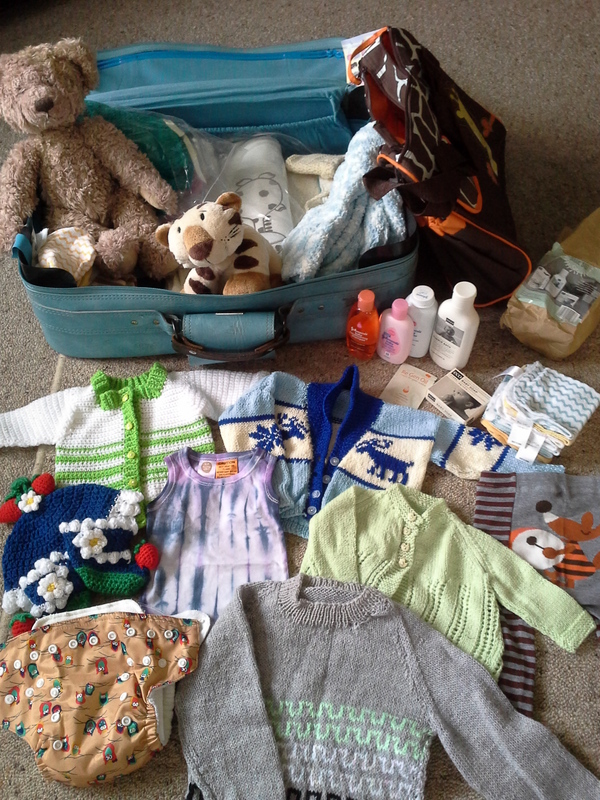 For quite a few years now I have been collecting baby stuff, big stuff, little stuff, cute stuff, practical stuff. I keep a lot of it in an old blue suit case I got cheap at a second hand shop. I have been told by a grandparent it is very bad luck. 2 summers ago I taught myself to crochet, mainly so that I could make gifts for my neice and friends children little toys n things, but naturally as small things are quick and easy to crochet I started making things to put away for my own. And since then I have been given a whole lot of knitted things from my Nana as she decided she wasn’t going to knit anymore and my cousin had already received a lot for her 3. I brought heaps of cloth ‘pocket’ diapers with the idea that I won’t use so many disposables. There are little onesies that I have tiedyed, and cute leggings off ebay, I have tried not to be gender specific, most of the things collected I feel I could dress either in. The big things, I already have a lovely wooden cot that a friend sold to me for a good price. I got a $18 high chair from my work, as a customer was not happy with it, then the staff couldn’t figure out what was wrong with it. Plans are in motion for the nursery decor too, I have tree wall decals, about 10 of them to make a forest of one wall, and a wooden clock in the shape of a fawn. It really is just a jumble of stuff, but when the Ivf failed I went through all my cute little things, yes it made me sad, but hopeful too, hope is a good feeling.